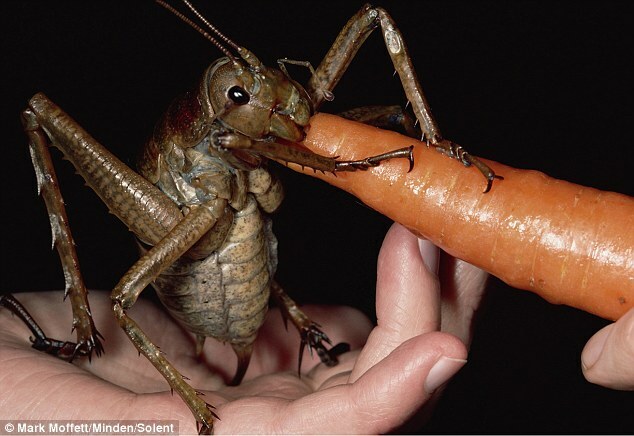 A nature-lover has revealed how he spent two days tracking down a giant insect on a remote New Zealand island – and got it to eat a carrot out of his hand. Mark Moffett’s find is the world's biggest insect in terms of weight, which at 71g is heavier than a sparrow and three times that of a mouse. The renowned 53-year-old scientist discovered the giant weta up a tree and his real life Bug's Bunny has now been declared the largest ever found.